Bettongs. Greater bilbies. Bridled nailtail wallabies. Before European colonisation, the populations of these iconic marsupials numbered in the millions. But they are now all critically endangered, along with a host of other native species, having been hunted to near extinction at the hands of a damaging pest – feral cats. First introduced into Australia by European settlers, the feral cat population is thought to number between 1.5 and 5.5 million. They’re incredibly adaptable and can live in any habitat across the country. They’re also fast, sleek killers – much too quick for most wildlife to stand any chance – and to top it all off they breed quickly. It has got to a point now where over 1 million native animals are being killed by feral cats every day. It’s an imbalance our ecosystem cannot deal with. So far, traditional controls like baiting have not been effective on cats. In fact, the only way land managers have been able to stop cats from getting at our native animals is to construct cat-proof fencing around reserve areas, like those managed by Australian Wildlife Conservancy, then removing all the cats inside and allowing native mammals to flourish. This isn’t considered sustainable in the long term and, outside the fences, this perfect storm of predatory behaviour has continued to darken our biodiversity landscape. But there is hope on the horizon—gene drive technology. Essentially, gene drives are systems that can bias genetic inheritance via sexual reproduction and allow a particular genetic trait to be passed on from a parent organism to all offspring, and therefore the ability of that trait to disperse through a population is greatly enhanced. Using this type of genetic modification (GM) technology, it becomes theoretically possible to introduce cats into the feral populations to produce only male offspring. Over time, the population would die out due to lack of breeding partners. “Gene drive using GM technologies allows all offspring of any coupling between a ‘gene construct’ (modified animal) and a wild animal to all have the gene construct,” says Andy Sheppard, our Health and Biosecurity research director. This sort of technology has already been shown to work in the lab for mosquitoes and offers the prospect of eradicating mosquito borne diseases like malaria. The current focus of research is assessing whether it’s viable in mammals like mice, which will require many years of work. 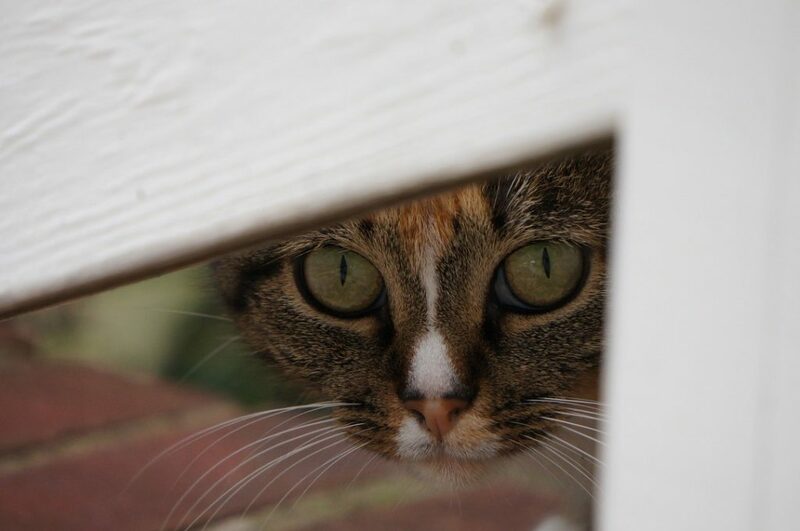 Only then could it be considered for feral cats, and many more years of research into the genetics and ecology of feral cats in Australia would be required. 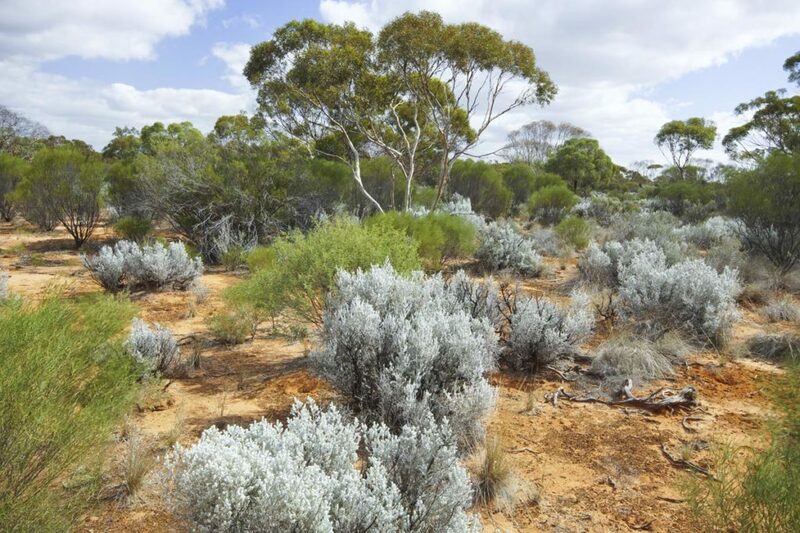 Pearl bluebush flat in the extensive mallee woodlands of Scotia Wildlife Sanctuary, western New South Wales, site of endangered species recovery projects conducted by the Australian Wildlife Conservancy. In the meantime, there’s also a lot of work to be done outside the lab. According to Andy, any application of this technology in Australia will require a full and thorough assessment of the risks it could pose to ensure all reasonable mitigation measures are put in place. It will also require broad public acceptance before proceeding and a public discussion about whether and how we want to use technologies like this to manage biodiversity. “The main risk that’s widely talked about is that if you start to release genetically modified animals into the environment where those animals are a pest, some of those GM animals might be able to escape the area where those species are not a problem,” says Andy. It is important to note, however, that this technology is spread by breeding only, therefore domestic cats are not at risk of ‘catching’ it like a disease. There are ways of mitigating these risks and this will be an essential aspect of our research it will also be essential for Australian regulatory approval. Already there is promising research into low-risk gene drives with high probabilities of success and systems with controls built in at several levels so they can be locally contained. While gene technology shows great promise, it is still only ‘early days’ and there is much more to be understood before it could be deployed. Traditional control methods coupled with wildlife reserves like Australian Wildlife Conservancy’s will remain essential for preserving our native animals in the meantime. We have agreed to work with the Australian Wildlife Conservancy investigating the potential use of this technology to stop the species decline caused by feral cats through a combination of transparent research and ongoing dialogue with regulators and communities. The use of gene drives for the management of pest populations would be less distressing to those concerned with animal welfare than perhaps the use of diseases to manage populations. The effect on domestic animals could also be minimised. How will a reservoir of domestic animals affect the success of this approach? Jill Rowling – there is no 10% of the population that will be immune to being born a male, and the gene modification is in their genes – it’s not a virus. They cant help pass it on when they breed, and sooner or later theres no females to breed with. This is a wonderful development. Release it NOW and try to get our beautiful native animals back from the brink. It’d be pretty good to release with rabbits too don’t you think? It is a very sensitive issue but since we live in a democracy, which has a great deal of transparency, I feel that this project could be developed for the benefit of our wildlife which is being decimated at an exceptional rate. Sounds like a great idea, although I suspect that like many of these things it’s a one-shot, and nature will work out a way to get around it eventually. A sort of 90% success story until the remaining 10% who are immune get to know each other. Gene drive tech in mammal spp will be hugely controversial so will need a foundation of impeccable research & communication with the wider public, and all that will take time. 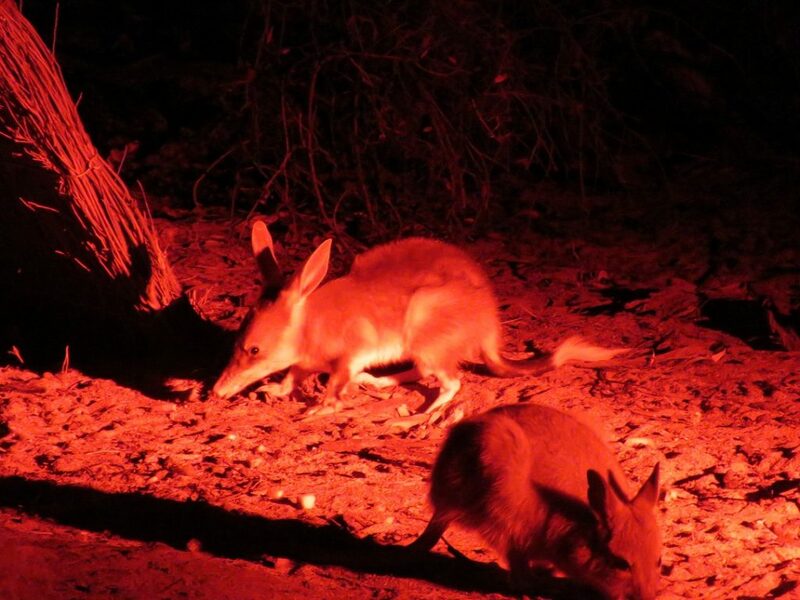 I hope I live to see the numbers of small marsupials explode in the wake of the eradication of feral cats, followed closely by rabbits, foxes, donkeys, goats, deer, pigs etc. In the meantime, keep an eye on the carp control program because releasing koi herpes will be a waste of time without something like a gene drive follow up to prevent their recovery.